These clever and cute pocket monsters have a same skill to keep your place in your favorite book. Like the idea? Let’s go on for the handmade Pokemon GO bookmarks. This is a pretty adorable and practical bookmark series inspired by Pokemon GO, and handmade by Olena, a Ukrainian crafter who focuses on various interesting bookmarks. The GO bookmark series is inspired by Pokemon GO, so each thin marker features an inconic pocket monster’s lower body including Pikachu, Charmander, Squirtle and Meowth, and each tiny sculpture shows off exquisite details and accurate colors from the original Pokemon, so we can easily identify these cute monsters at a glance. 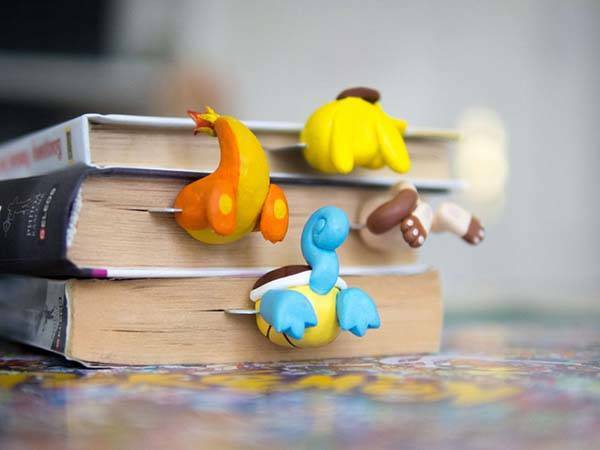 The each of Pokemon bookmarks measures 7.5 x 2 inches, the thin part of the bookmark allows to mark the place in a book, while the 3D legs add some adorable cartoonish styling from Pokemon to your favorite books. Moreover, the bookmarks are made of polymer clay, covered with acrylic paint and varnished for durable and long-lasting construction. 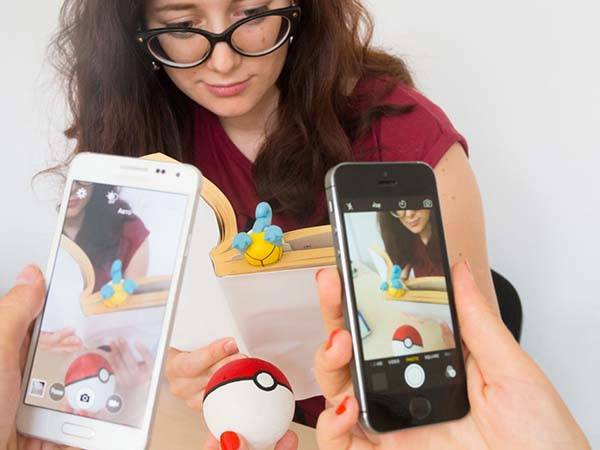 The handmade Pokemon GO bookmark is available in five pocket monsters, each costs $25 USD. If you’re interested, jump to Etsy for its more details. BTW, also don’t miss Pokemon Snorlax bean bag chair and more related cool stuff by following tags.